The soldiers of the brutal dictator encroach upon your personal lands. Your noble queen has sent forth her finest warrior to eliminate the threat. 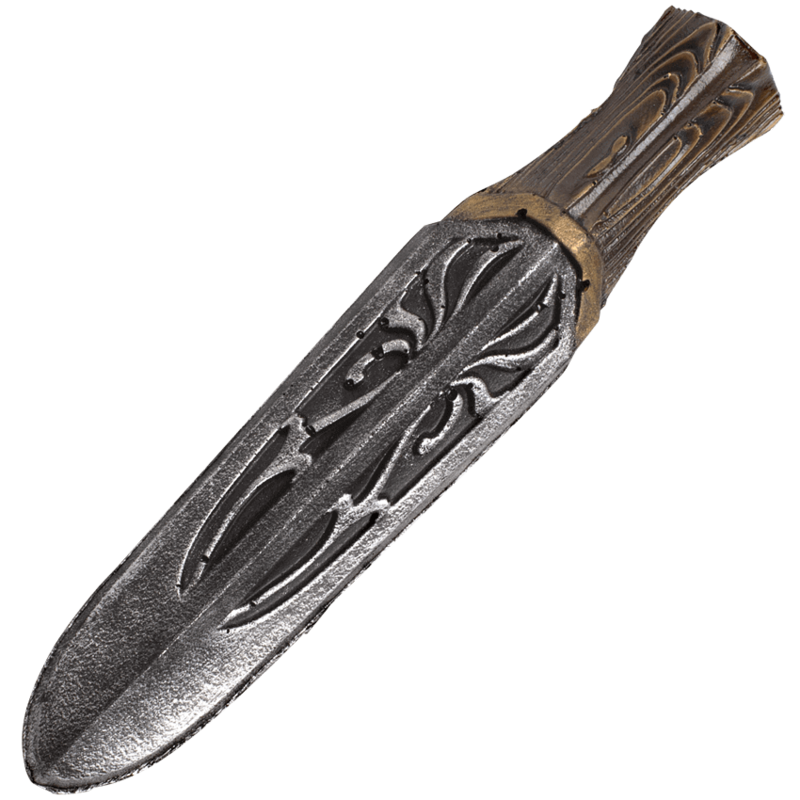 A character that values the ways of the forest will enjoy the three dagger set of the Assassin Unity Throwing Knives. An elegant patterns of Medieval style accents the spear point blade of each dagger. The wood grain pattern on the hilt enhances their look, while the design supports a firm grip. 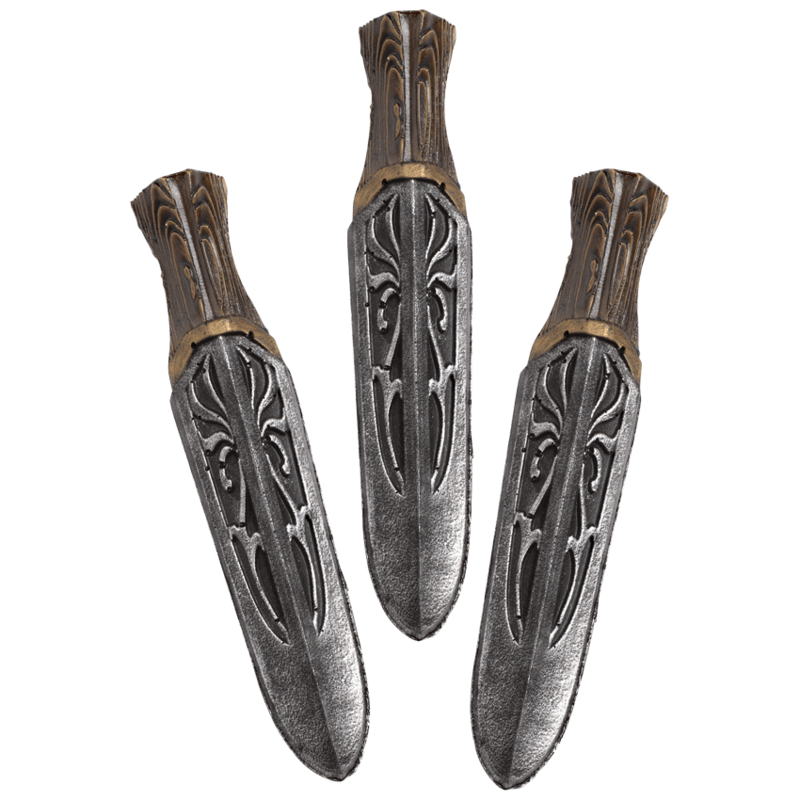 When taking on the role of Elven warrior or forest guardian, these throwing weapons are suitable companions for an epic adventurer.